Now a days we are spending millions of dollars on skin and hair care cosmetics. Most of them are loaded with toxic chemicals which may seriously affect our beauty in the long run. But most of us are not even aware of the side effects which these chemical-loaded products can have on our skin. They may give immediate results and you may think that they are worth the money which you are spending on them. But the truth is that they cause more harm than any benefits. Their effects are only short-lived which fades away with time. But the side effects can cause permanent damage to an extent which is irreversible. If we look into our kitchen, we will find each and every item has some or the other benefits. Be it lemon or salt, turmeric or pepper. During ancient times we did not have any fancy cosmetics nor did we had any facial treatments, but the ladies managed to have gorgeous skin and hair. How did they manage to do that ? Even with the slightest touch of make-up they looked stunning. It is because they knew the magical properties of the items in our kitchen which we tend to overlook. 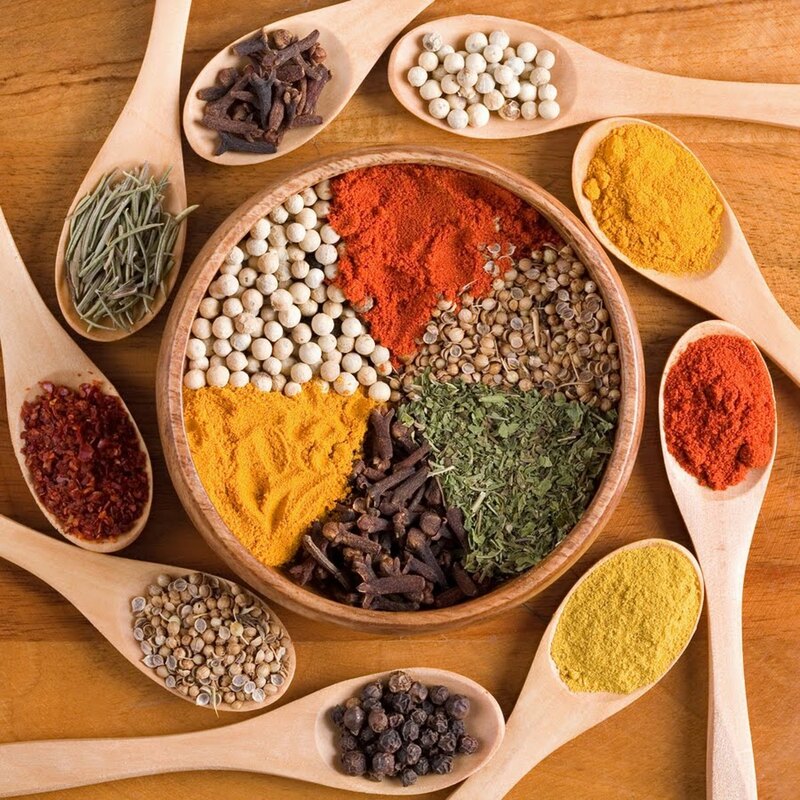 Why Spices For Beauty ? Spices are not only used to create mouth-watering dishes but can be used on the skin for achieving healthy and glowing skin without draining your pockets. They are blessed with wonderful aroma, taste and numerous health benefits due to several anti-oxidants present in them. They can have amazing results on your skin if used regularly and if proper method and combinations are followed. They beautify the skin without damaging it and can be used even on the most sensitive type of skins. So what's the need of spending so much money when the same results can be obtained at home in a safe and secure way with spices. Turmeric contains an anti-oxidant called curcumin and is full of anti-septic, anti-inflammatory and anti-bacterial properties. 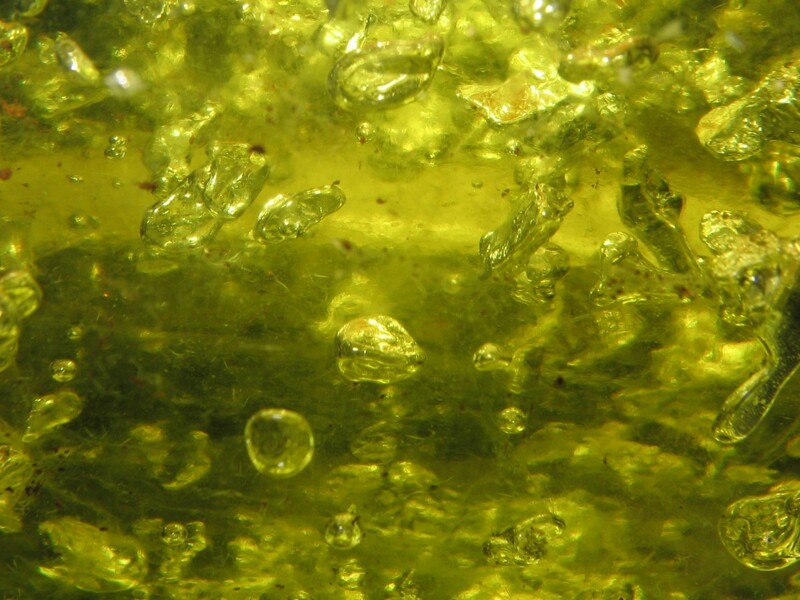 It has numerous benefits on skin and imparts a healthy glow. 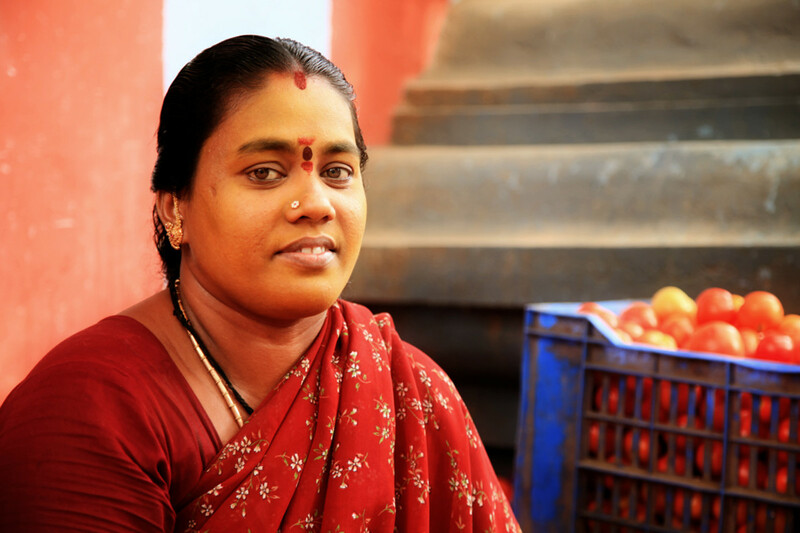 When taken internally, it acts as an effective blood purifier thus healing the skin from inside. Being an anti-oxidant it is very effective in attacking harmful free radicals thus giving a youthful skin which is free from any kind of rashes or blemishes. 1. 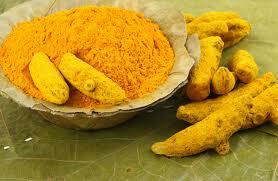 Mix turmeric paste/powder and sandalwood paste/powder in equal quantities and apply on the face. 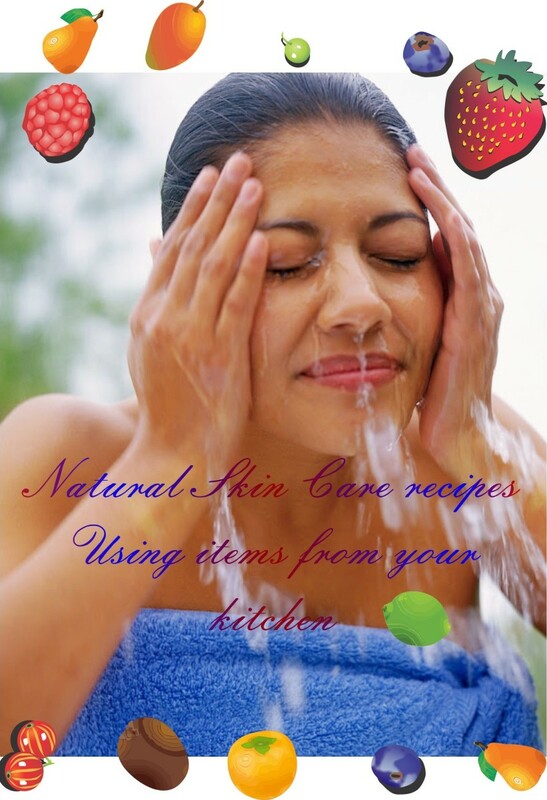 It is very helpful in removing acne, pimples, blemishes and other skin ailments. This is the best pack which can be used during summer because it has cooling effect on the skin. Apart from that it helps in improving complexion and brightens the complexion if used regularly. 2. A paste of gram-flour, milk/curd, lemon juice and turmeric acts as a natural scrub and has bleaching and whitening effect on the skin. 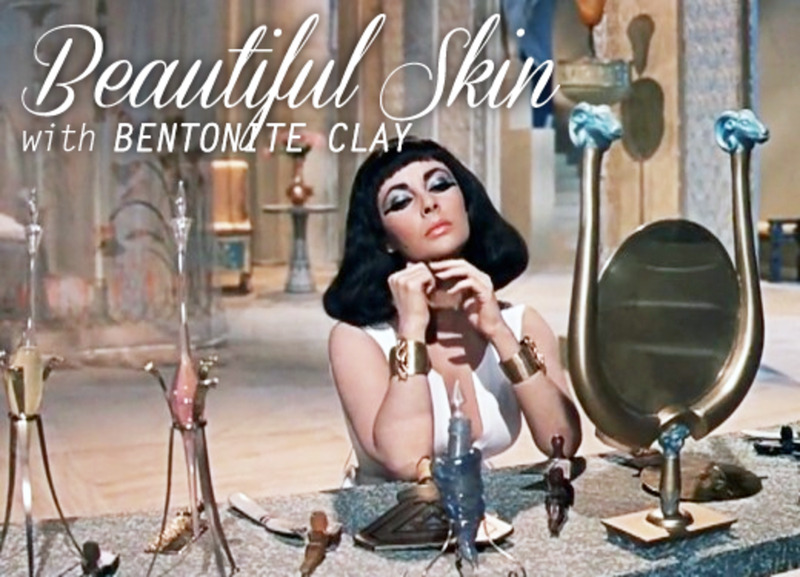 Apply the mixture on the skin and use it as a scrub after it gets little bit dry. This cleanses the skin as well as exfoliates it by removing the dead cells. 3. Turmeric powder and lemon juice can be used as a natural bleach to get rid of the facial hair. However people having very sensitive skins or those who are allergic to lemon should avoid using this pack. 4. Mix equal quantities of cucumber juice, coconut milk, bit of lemon juice and a pinch of turmeric for making a home-made moisturizer for dry skin. 5. A paste of turmeric powder, milk-cream and rose water can be massaged on the skin before taking bath. It helps in removing dryness especially during winters and makes the skin soft and glowing. Cinnamon is stimulating and anti-bacterial in properties. It is great for toning the skin and getting rid of pimples and blemishes. 1. If you are suffering from hair loss and bald patches, mix cinnamon powder and honey in equal quantities. With the help of finger tips rub the mixture lightly on the bald patches for sometime. Leave it for 30 minutes and shampoo your hair. 2. To treat pimples fast apply a mixture of cinnamon and honey on the affected area and wash off after 20 minutes. 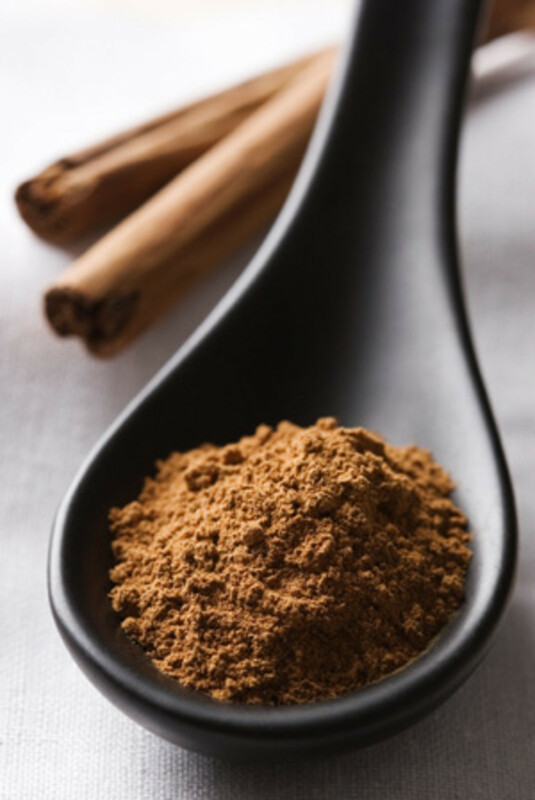 The anti-bacterial property of cinnamon will cure the pimple and also remove the blemishes caused by it. 3. To reduce weight, boil a cup of water with cinnamon and honey. Have it after getting up from sleep and before going to bed at night. This is very effective in reducing unwanted fat in the body. 4. Blend 1/2 cup brown sugar, 1/2 cup granulated sugar, 6 teaspoon of cinnamon powder and 1/4 cup of extra virgin coconut oil thoroughly making sure to break the lumps of the sugar. Apply this mixture as a body scrub. It is very effective for dry and parched skin. 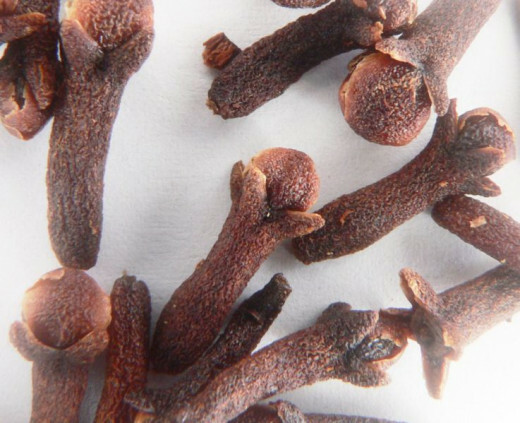 Cloves have microbial properties, that is why they have been used in the dental profession since centuries. This aromatic spice is great in curing pimples and other infections and is used in many medicated soaps and creams for its germ killing properties. It is great for deep cleansing and even has toning and astringent properties. 1. Mix fullers earth powder, clove paste/powder and with the help of rose water make a fine paste. Apply this mixture on your face evenly. Relax for 10 minutes and wash off. This is a great pack for those who are suffering from any kind of boils,acne, blemishes or rashes. Clove will soothe the skin and will even prevent itching and further infection. 2. Before going to bed apply clove paste on the pimples. Wash off in the morning. This helps in healing the pimples faster. 3. Mix 1/4th cup rum, 1/2 cup distilled water, 1/4th teaspoon honey, 1/4th teaspoon ground clove powder and 1/2 teaspoon of clove oil. Blend nicely till honey dissolves. Use this as a natural mouth wash. It helps in getting rid of bad breath and also keeps the teeth and gums healthy. Pepper helps to increase the blood flow and stimulates circulation. Very helpful in keeping the face youthful but should be avoided by those who have a sensitive skin. It is not only good for facial skin but also your scalp. Since it is excellent in stimulating circulation, it increases blood flow to the hair follicles thereby promoting hair growth. 1. 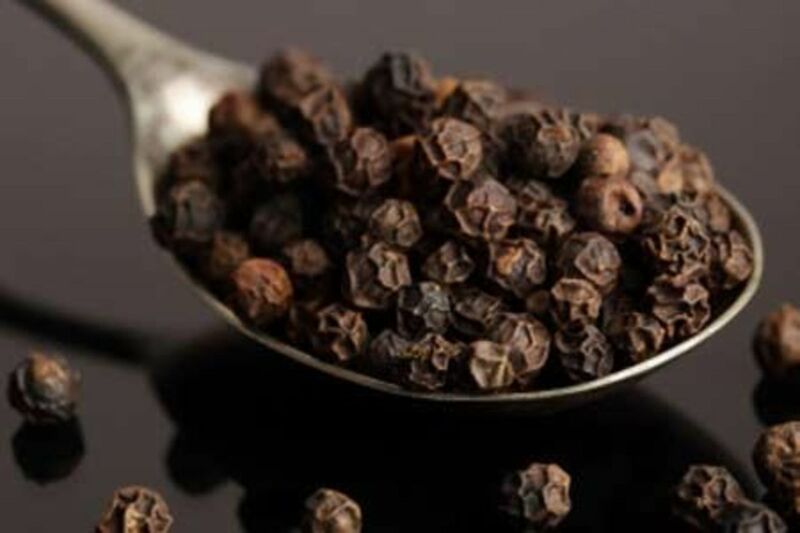 Apply black pepper tropically on the areas having pimples to dry them faster. 2. Mix black pepper powder in curd. Apply this mixture on hair and let it remain for 30 minutes. Wash off with a mild shampoo. This hair pack is very helpful in preventing hair fall and conditions the hair making it silky and shiny. 3. If you are suffering from bald patches, take some black pepper paste and rub it on the bald patches for some time. Let it stay on the scalp overnight and wash off in the morning. Black peeper can stimulate hair growth and promote hair on the bald patches. Henna is excellent for promoting hair growth. 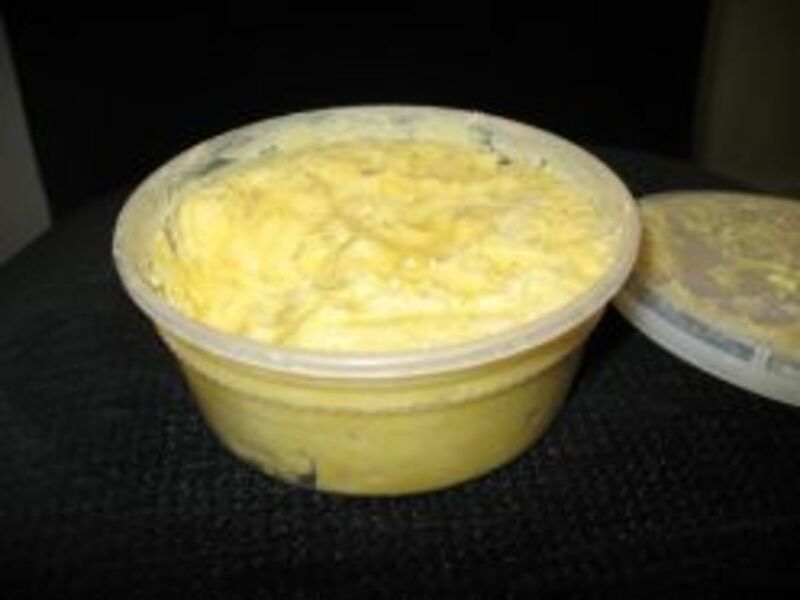 It is mostly used for its dyeing effect on hair. It is the natural alternative to hair colors, completely natural and without any side-effects. @Mama Kim 8-- Thanks a lot for liking the hub. I hope you will try the tips and get benefits from them. Have a nice day !! I love these! Thank you so much for writing this hub ^_^ voted a bunch and bookmarked!! adity5, this is a very interesting and useful hub. I never knew all these spices had such great healing benefits. This is definitely voted up! @Jools99--Thanks a lot for stopping by :) I am glad you liked it !! Great hub, very interesting. I knew about the benefits of turmeric but the other spices benefits were new to me. @Gypsy Rose Lee--Thanks for liking it. Yes, natural alternatives are always the best. I am glad you liked them. Have a nice day !! 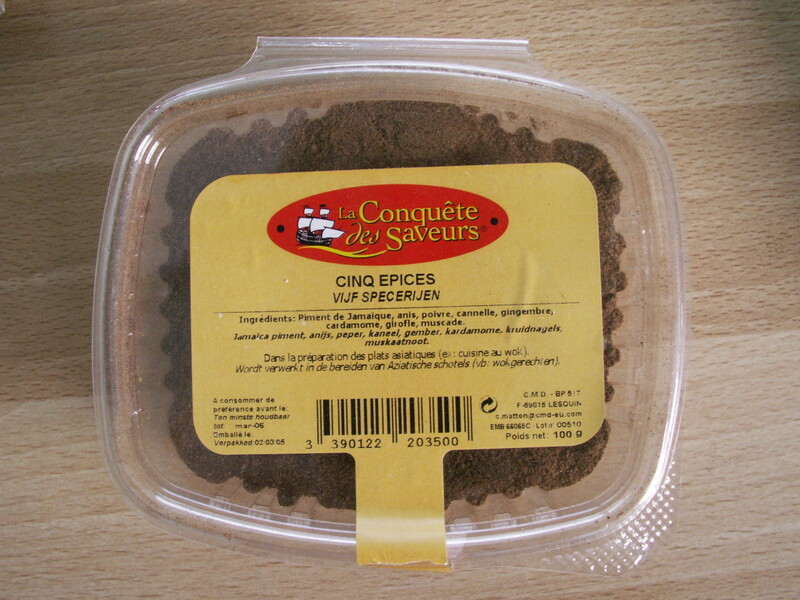 In the days when spices were not so prevalent spices must've been useful. Thanks for sharing! Great hub! I use some of these, but I appreciate the great ideas on the others. Voted up and shared. Voted up and interesting. Thanks for sharing this informative and fascinating hub. I've always thought that natural is best. Great tips and pics. Passing this on. Very interesting article about using spices for things in addition to their normal uses in baking or seasoning foods. Beautifully illustrated article as well. Up, useful and interesting votes.